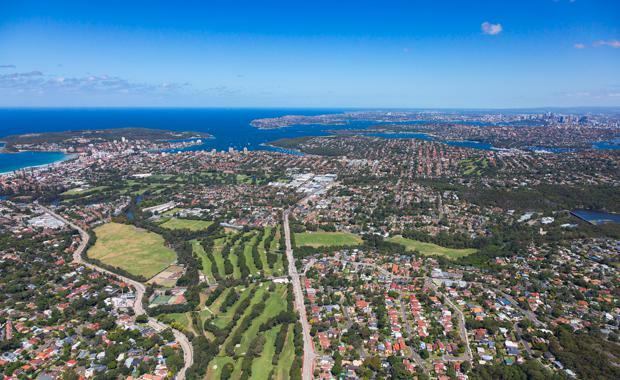 The proposed relocation of Warringah Golf Club’s clubhouse facilities has prompted an Expressions of Interest sale of a 4,071sqm landholding in North Manly - one of Sydney’s most sought after residential locations. The property at 397 Condamine Street is being offered for sale for the first time since the Warringah Golf Club acquired the site and established its first clubhouse in 1939. CBRE’s Aaron Arias and Richard Gell have been exclusively appointed to sell the property to accommodate the Warringah Golf Club’s long held ambition to relocate to a new site on its golf course, or in improved proximity to it. Warringah Council is supportive of the strategy, having promoted the move in its new ‘District Park Plan of Management’, which includes the development of a combined sports club, lease of the golf course and other associated sports facilities. CBRE Residential Development Manager, Richard Gell said the property represented a unique opportunity that would draw interest from a large pool of prospective buyers. “Strategically located in one of Sydney’s most desirable areas, this site is expected to appeal to a gamut of prospective buyers who are looking to capitalise on its value uplift through potential residential development,” Mr Gell explained. The property, which is offered for sale as a raw site, benefits from an easterly aspect overlooking the Warringah Golf Course, with primary site frontage to Condamine Street and secondary site access from James Street. Mr Gell said the opportunity to secure such a sizeable footprint in the tightly held North Manly area was expected to appeal to developers looking to unlock the property’s full value potential. “Parcels of this land size very rarely come to the market in North Manly and as such, it offers an opportunity to provide a unique end product in a tightly held location,” Mr Gell explained.